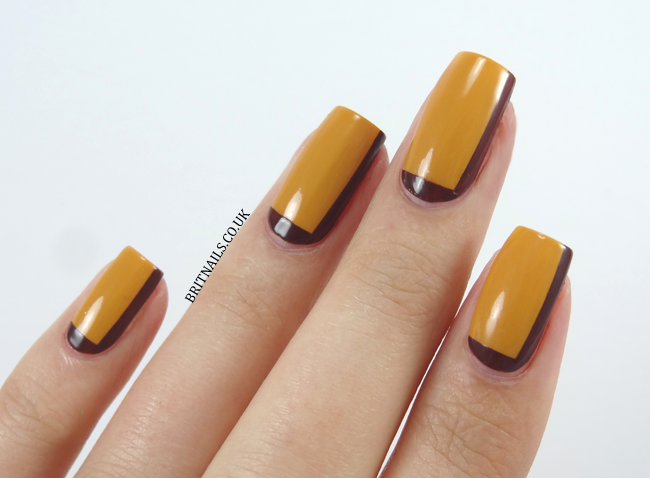 Today I've got another tutorial created with Barry M, this time a design incorporating retro colours with a 70's vibe! This bold colour combination may not be to everyone's taste, but you can easily switch up the colours to something that suits you better. Read on for the steps! 1) Paint a base using Barry M Mustard and let it dry completely. You can speed up the drying time using quick dry top coat! 2) Lay some striping tape vertically down the side of your nail, and paint over using Barry M Cocoa. If you're not comfortable using the bottle brush, you could use a smaller nail art brush instead. 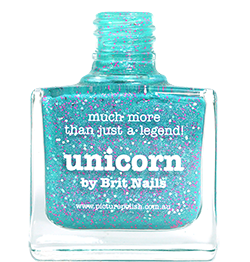 6) Clean up around your nail using a small brush or a cotton bud dipped in acetone, finish with top coat and you're done! Is this something you'd wear, or would you change the colours? Personally I love the bold combo, it's something a bit different! I love it :) The colors are gorgeous! Usually I am not a fan of yellow polishes, but there is something about this mustard shade that really makes me want it. Love this nail art!! That mustard yellow is gorgeous too.